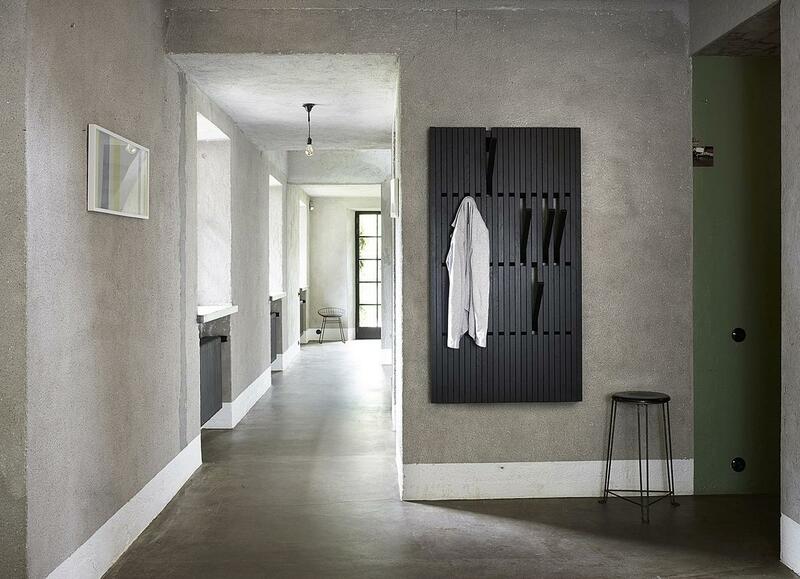 Piano by Patrick Seha is the smart coat rack for the whole family. 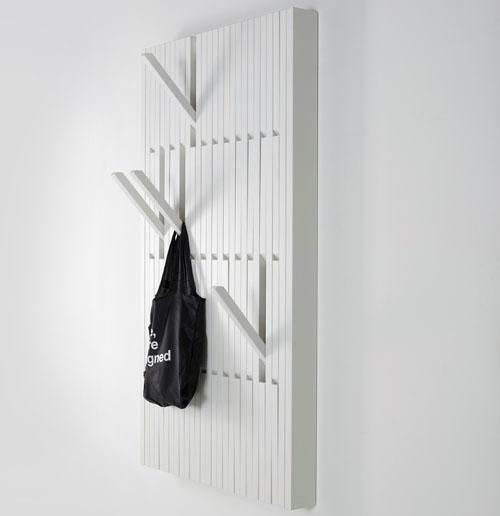 The hooks can be opened out and folded back as required, creating a visual impression reminiscent of piano keys. In addition the hooks are located on different levels so that children can easily hang up their coats and other clothing themselves.. Assembly Please click on picture for detailed information (ca. 1,0 MB). Care To clean wipe with a soft, damp cloth and a mild, non-abrasive detergent. Product datasheet Please click on picture for detailed information (ca. 2,1 MB). 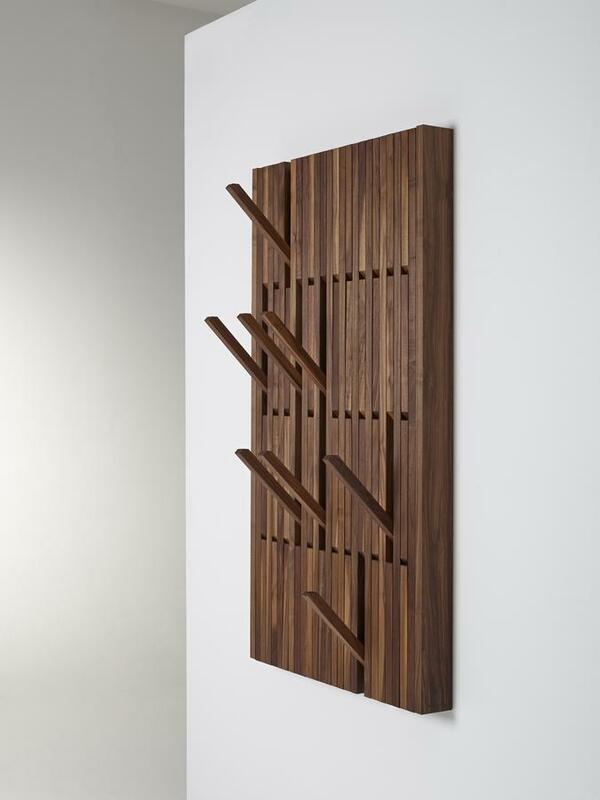 The collection of wooden hooks which form the Piano Wardrobe not only form a convenient storage space for jackets, coats and scarves, but also represents an extremely decorative piece of wall art. 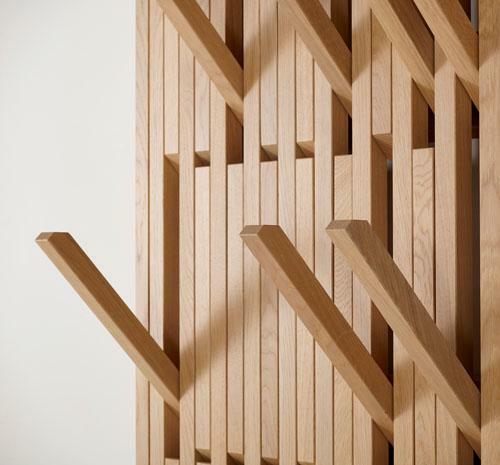 Constructed according to the mechanism of a keyboard, if one end of the wooden bar is pushed down the other end moves up; however, whereas with a piano music is generated, with the coat rack individual strips of wood pop up on which objects of clothing can be hung. 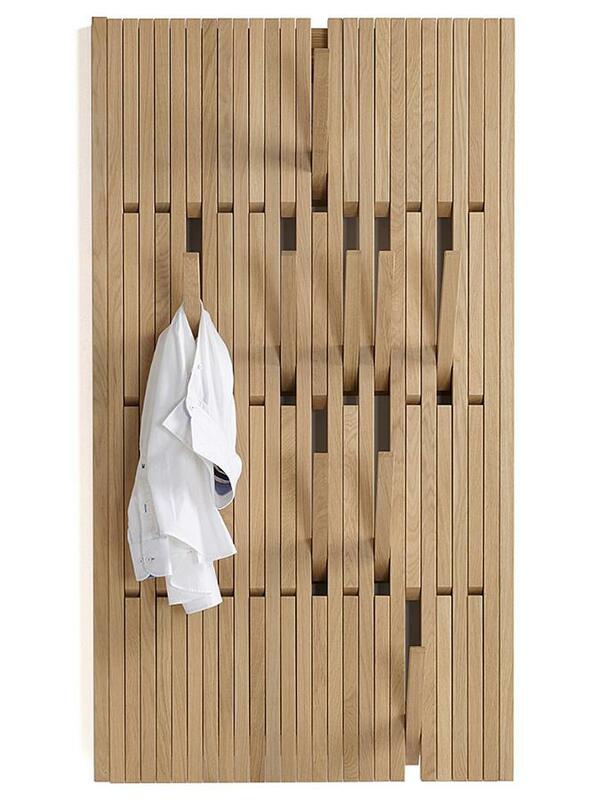 The unused wood strips remain flat and allow the charismatic rustic look of the wall wardrobe. 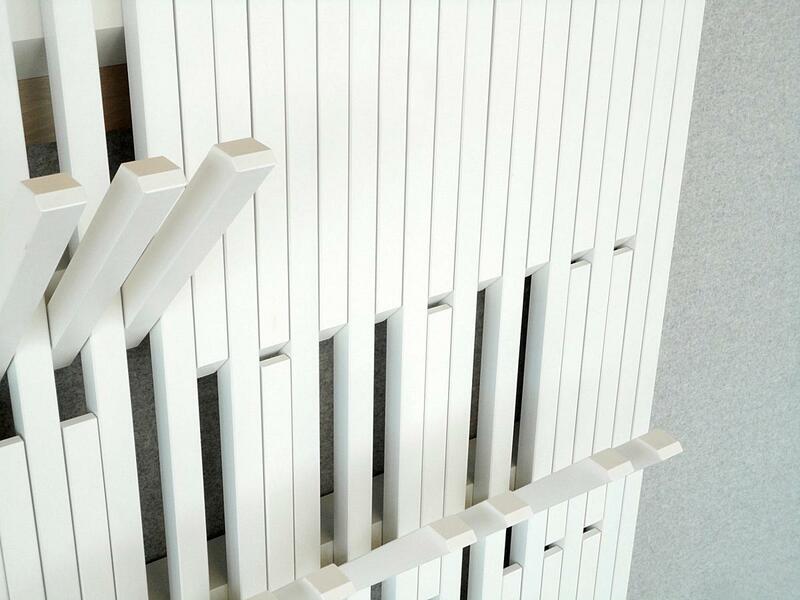 Because the hangers are distributed over the entire height, Piano is the perfect solution for families because it allows children to independently hang their coats et al. 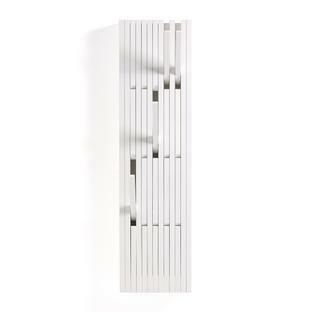 Designed by Patrick Seha in 2010 Piano stands 1.45 m high wall is available in two widths and in different colours. 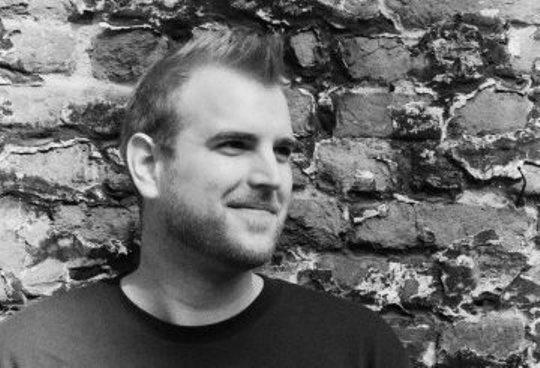 The young Belgian designer Patrick Seha lives and works in Brussels, where he also studied at the La Cambre ENSAV. 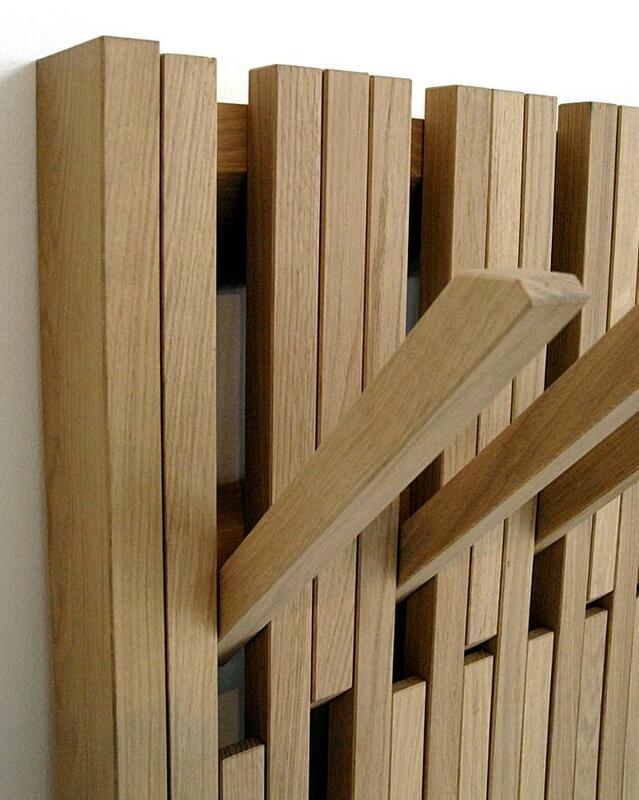 In context of furniture design Patrick Seha has so far mainly cooperated with the Belgian manufacturer Per/Use. Not only Piano, but Séha's entire portfolio demonstrates a penchant for fine and solid materials as well as a contemporary, graphic look, and always results in a playful and useful designs object. 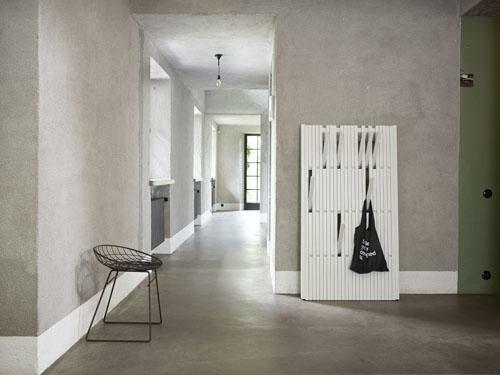 Per/Use stands for modern and functional design. 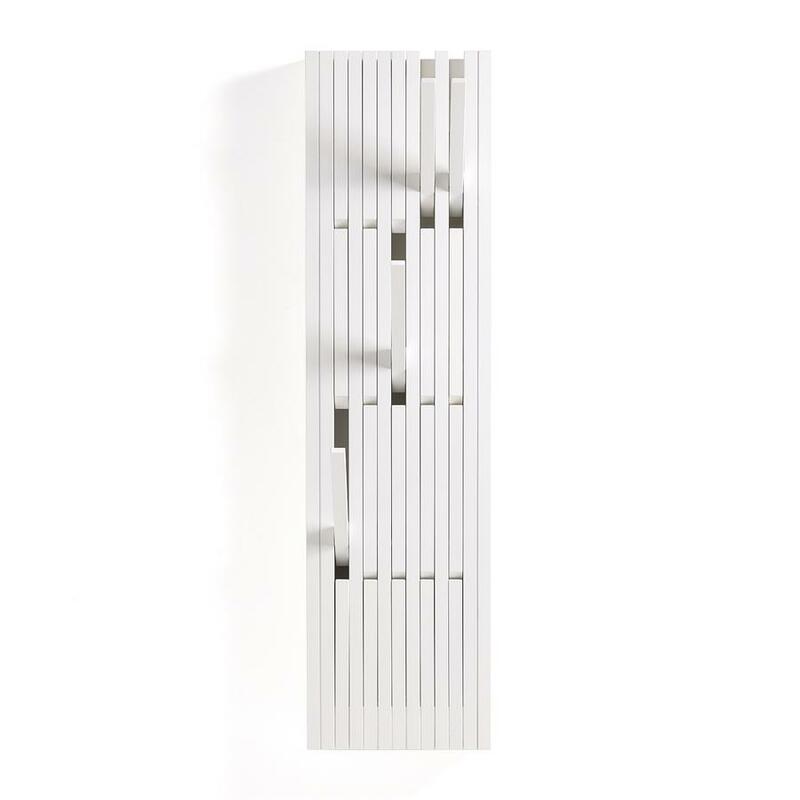 The Piano coat rack was originally designed by designer Patrick Seha for the Belgian company Feld; is however today produced by the Belgian furniture manufacturer Per/ Use. 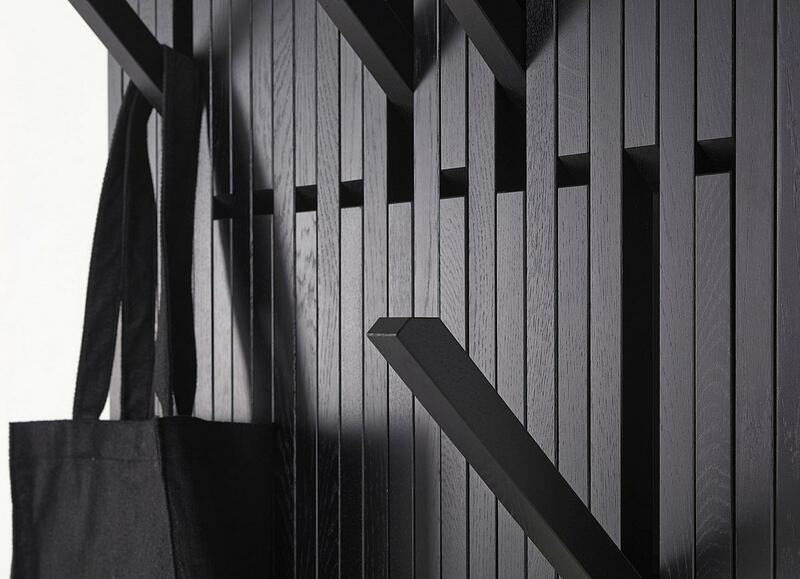 In addition to a a version in oiled oak the Piano coat rack is also available in black lacquered oak, oiled walnut and white lacquered beech versions. 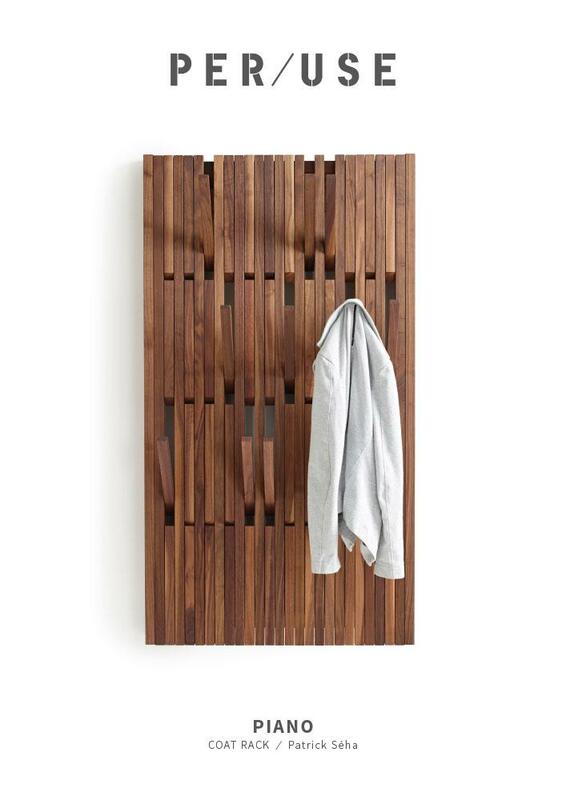 Standing 145 cm high and either 41 cm or 82 cm wide the wall mounted coat rack is bursting with hooks and enough space for a large family of coats. Or coats from a large family. 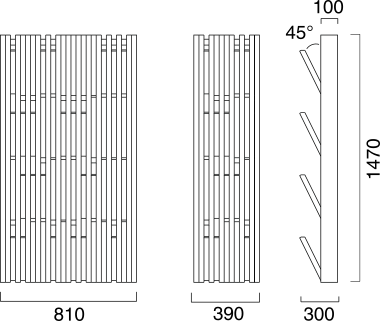 In the production of all their furniture, the company Per/Use attach a great importance to sustainability based, including the stipulation that that all production occurs in Europe. 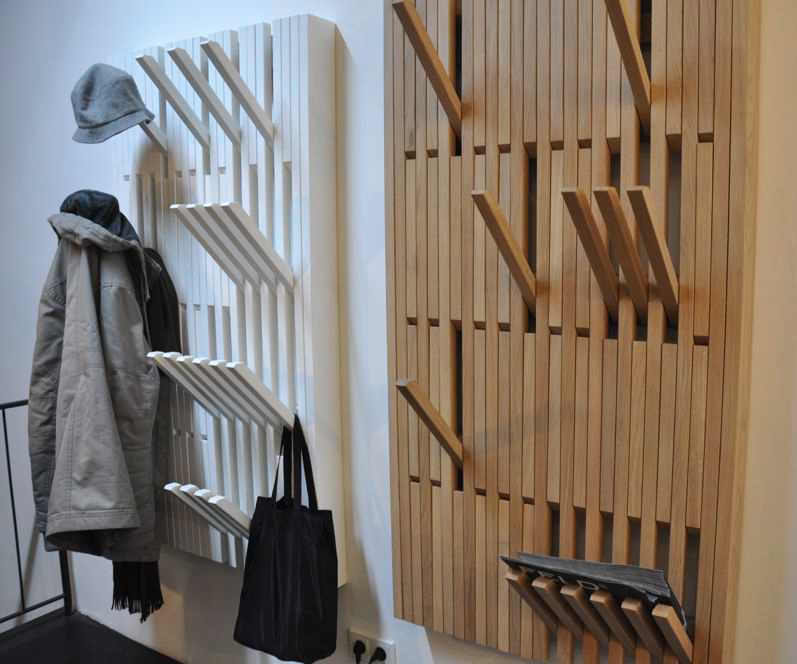 Patrick Sehá designer of the Piano coat rack. The still young Belgian Designer furniture manufacturers Per/Use focuses on current works from international designers with a claim to timelessness. 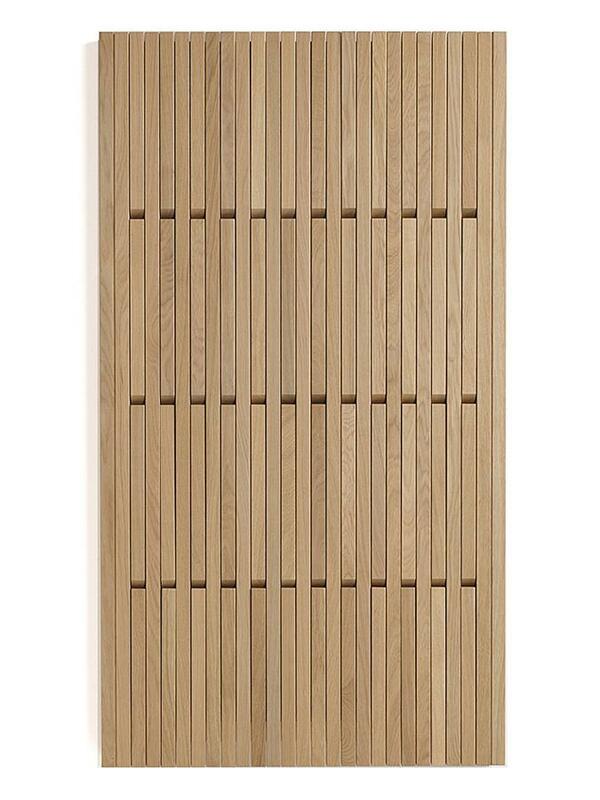 With a portfolio of largely wooden furniture and accessories Per/Use objects are characterised by their tasteful charm and functional character. 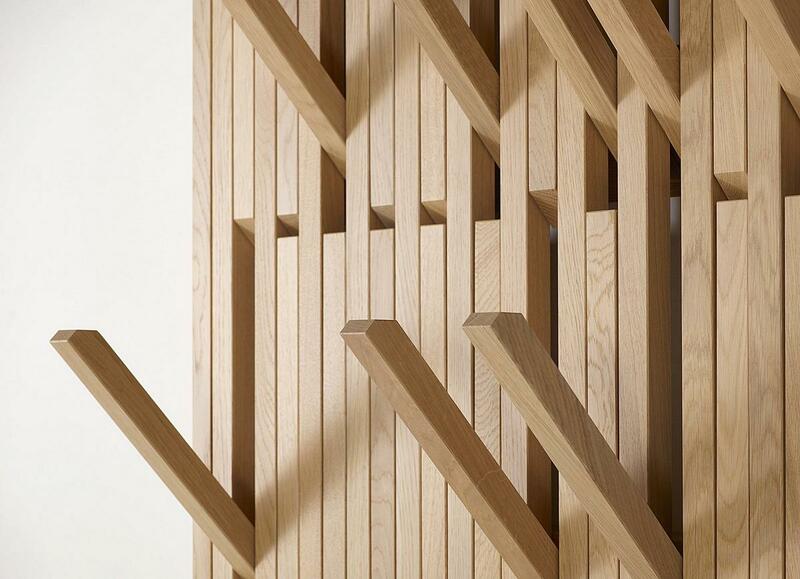 The designs are both simple and ingenious, reduced and timeless, unassuming and noble. 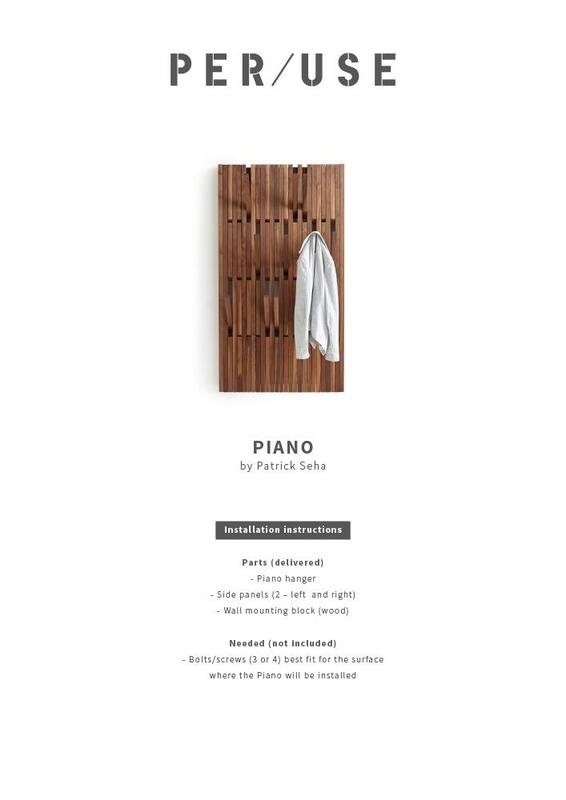 The high quality craftsmanship of furniture forms a further cornerstone of the Per/Use corporate philosophy and helps makes the Piano coat rack a quality product with an endearing style.